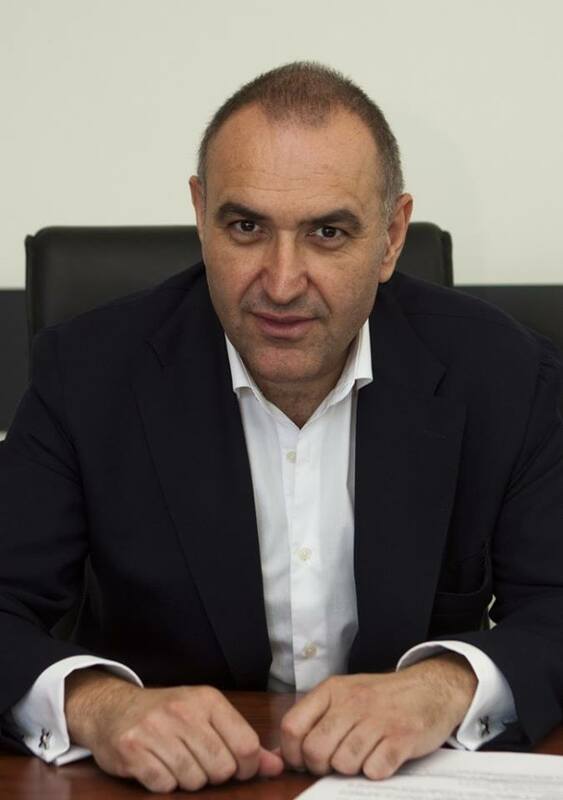 In this Port pro of the month, we are interviewing Mr Anguel Zabourtov, Director General of the Bulgarian Ports Infrastructure Company (BPI Co.). We asked him about his views on the current state of play in his ports, his vision for the future and his opinion on some challenges which ports are facing today. You are the Director General of the Bulgarian Ports Infrastructure Company (BPI Co.). Can you briefly tell us more about the BPI Co.? What are its main characteristics and activities? Bulgarian Ports Infrastructure Company is a statutory corporation. Despite the company’s name, we act as National Ports Authority or Ports Management body and our business is not just about managing the port infrastructure. In addition to our regular activities such as design, construction, maintenance and rehabilitation of the port infrastructure, wave protection and shore-strengthening facilities, etc., we also provide vessel traffic management and shipping information services. We built the Bulgarian part of the river information system along the Danube BULRIS, as well as coastal centres for vessel traffic management and information, in Burgas and Varna. In recent years, we have successfully deployed and used some of the most advanced ship navigation systems. We have put in place service systems for electronic document processing on arrival and departure of ships in/from the Bulgarian sea and river ports – Single Window. We also work actively on various projects for the development of water transport. 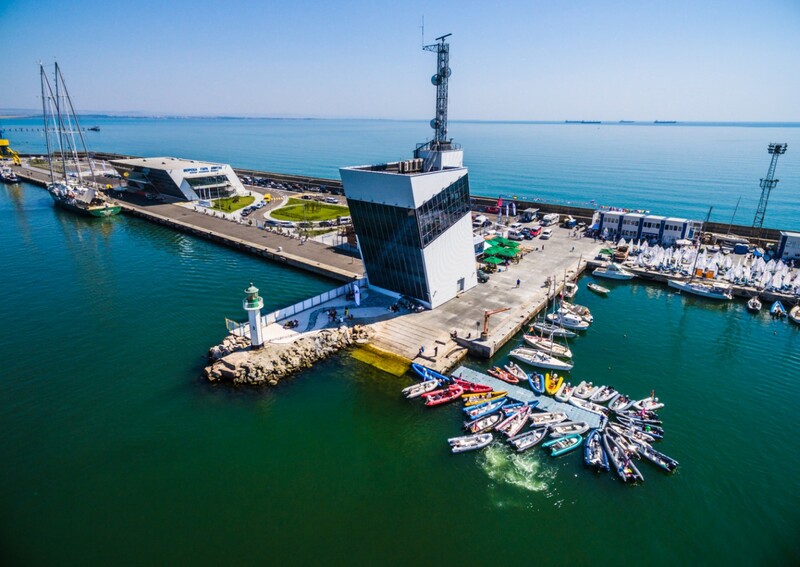 This year’s European Maritime Day will take place in Burgas from 31 May to 1 June. In this context, we were wondering what are the main challenges for the Bulgarian port sector? Which future opportunities do you see for Bulgarian ports? Indeed, there is a dynamic year ahead for the maritime industry in Bulgaria. A major international event in the field of maritime transport is to be held in Varna under the auspices of BPI Co. A number of world-renowned maritime companies will take part in it and this will be a good opportunity to attract foreign investment. I think that if we are working in the right direction, we have great potential to attract more investment in the field of water transport. Investments are needed in two directions: in the terminal and in the base infrastructure. At the port of Burgas, we have a new terminal, which corresponds to some of the best world models - a 15,5 m draft, with an operator who invests in cargo handling. In the port of Varna, we have exceptional features: the entire Varna and Beloslav Lake and the whole complex to the Varna West terminal. That is why the Varna port is an attractive place for the development of economy, industry, logistics, and distribution. And I believe we can turn it into a logistic hub of the Black Sea. In my opinion, one of the most important steps towards the development of the ports is thе concession of ports terminals. We are currently working on the Master Plans of the port of Burgas and the port of Varna, which will set the guidelines for the development of the two largest Bulgarian ports. Ports around the world are a reflection of the economy of the state, they serve while at the same time being a driver of the economy. That is why I think that the biggest challenge for us is to be able to build the Bulgarian ports in an institutional way so that they become a powerful engine of the economy. The next year will be marked by a change in port legislation. A Regulation establishing a framework for the provision of port services comes into force in 2019 and Bulgarian legislation has to be brought into line with the regulation, so there is a legislative change that I hope will be positive for the development of the ports in Bulgaria. BPI Co. is currently conducting a feasibility study on the development of a Port Community Information System for Bulgarian ports. Can you briefly tell us more about this project? How will the development of this Port Community System facilitate trade? Port Community Systems have been introduced in almost all ports in the world, where for years the document flow has been done electronically, so this is a logical and important step in the development of Bulgarian ports. By establishing the Port Community System, e-Government will cover port and logistics processes through exchange of information between state institutions and the business of handling cargoes in our seaports. The system provides an opportunity for easy, fast and efficient real-time information exchange, electronic processing of customs declarations and all information related to the import and export of containers, general and bulk cargoes. The introduction of the system will greatly facilitate trade, as business time is one of the most valuable resources. At the same time, the system also guarantees a high level of data quality, which is another great advantage for the trade. The Commission has declared 2018 as the Year of Multimodality. The Port of Burgas is a core port of the Trans-European Transport Network (TEN-T) located on the Orient/East-Med Corridor. The Port of Varna is a comprehensive port of the TEN-T Network. How has being part of the TEN-T Network been of benefit to Bulgarian ports? Have Bulgarian ports been awarded any projects? During the 2018 Year of Multimodality, Sofia will host a High-level conference on European Multimodal Freight Transport in March. The conference will feature a special panel, devoted to the role of ports and its links with the hinterland for the development of effective multimodal freight transport. Promoting an integrated multimodal freight transport is essential for the development of the TEN-T core corridors as well as for the comprehensive network. The advantage of the Bulgarian seaports as part of the Trans-European Transport Network, is that they have the opportunity to be involved in projects with which to apply for funding as long as they meet the conditions of the calls for proposals, their eligible activities. The Connecting Europe Facility (CEF) is a tool for financing projects in the field of transport infrastructure. CEF Transport focuses on cross-border projects and projects aimed at removing barriers of overcoming the missing links in the different sectors of the core network from which the Port of Burgas is part, as well as on the comprehensive network including the Port of Varna. Motorways of the Sea, for example, are a horizontal priority of the Connecting Europe Facility. Within this priority, we see an opportunity to apply with project proposals along with the ports of other Member States involved in the TEN-T Network. Currently, the Black Sea region is under pressure as a result of geopolitical tensions. Does this have an impact on the Bulgarian port sector? The geopolitical processes in the Black Sea basin have a direct impact on the activities of the Bulgarian ports because they are the natural connection between the East and the West. Perhaps the most visible economic dimensions of the impact of geopolitics in the region in recent years are related to the reduction of cruise trips. This, in turn, will have its specific economic dimensions, despite the fact that thanks to BPI Co., a contemporary efficient port infrastructure with modern passenger terminals has been achieved, making Bulgaria a preferred sea and river destination. BPI Co. receives financing under the European Regional Development Fund (ERDF) in order to modernize its port infrastructure. Which port projects are currently being conducted with aid from the ERDF? Can you describe the importance of this financing to Bulgarian ports? Thanks to modern and logistic navigation and information systems for the Black Sea and the Danube River VTMIS and BULRIS, which the company has built with the support of the Regional Development Fund, shipping conditions have greatly improved and the risk of accidents has been reduced. At present, with the support of the ERDF, we are also implementing a project that aims to review existing port reception facilities and identify the need for commissioning new port reception facilities for ship-generated waste as well as the means to prevent and combat oil spills in the port water areas of the ports. Another project funded by ERDF, which we are currently implementing is the Port Community System. The theme of the ESPO Award 2018 will be “ports as a good work environment for everyone”. As a Director General, you are also responsible for creating a good work environment for your employees. Have you developed any policies in this respect? A good work environment has different dimensions. It is not just about the good technical security of the workplaces and the health conditions that in BPI Co. are at high level. There is a good team when there are motivated people, and one of the most important conditions for this is to maintain a pleasant and positive working atmosphere that provokes the team to show the best it is capable of. Motivation must be a permanent process, so we are making a lot of efforts in this direction. In our activity, it is very important to understand the nature of work. The lack of in-depth knowledge in the field is unthinkable, so we constantly organise trainings to strengthen and update the professional skills of employees. Investing in human resources is the best investment. These trainings of course, are also a reason for bringing together the team. We also implement innovative technologies to optimise the process. We do not stop searching for better and smarter business process management solutions. We have implemented an integrated information system for planning and managing resources (SAP ERP 6.0), which contains a set of the most advanced technical solutions. This has led to a faster and more efficient implementation of business processes in the country. I have strived to provide my employees with not just a good work environment but also an environment that allows them to work with innovative and advanced technologies to acquire new skills and improvements. What are the main focal points of your BPI Co.’s environmental policy? BPI Co. has always had a very responsible attitude towards the environment. Each project we perform strives to achieve the highest levels of environmental standards. Last year, our work in this direction was appreciated – we received an award for special contribution in the development of eco-friendly modern technologies. We have implemented and maintain a monitoring and information system for the Black Sea that monitors the cleanliness of marine waters and atmospheric air as well as their change in the implementation of the operational activities in the territories of our Black Sea port. We also develop plans for receiving and handling waste in ports. We are currently working on a project to enforce environmental legislation in the adjacent seaport areas with the help of innovative training tools – ECOPORTIL. Two other large-scale projects in the field of ecology on which BPI Co. worked - ECOPORT 8 and TEN_ECOPORT, have already been successfully completed and we can boast a high level of water and air quality in our port areas. During the last years, ESPO has been putting a lot of efforts in digitalising data on port performance within the PORTOPIA project (an FP7 project that aims to measure port performance). How are Bulgarian ports measuring their performance? Through the Single Window and VTMIS, ship owners and ship agents submit data on a one-stop-shop basis. On the basis of this information, we monitor indicators such as the throughput volume, the number of ship visits for each port terminal, and so on. It is our responsibility to maintain the basic infrastructure that provides ships access to terminals and thus to provide good handling conditions for terminal operators. This is our contribution to achieve and report good results. I think the results we have achieved so far are visible and speak for ourselves that we have potential to expand our sphere of activity and to increase our responsibilities according to the best global practices – to be commensurate with those of the port authorities in the world.